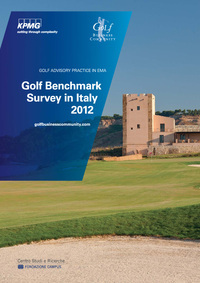 Italy is perfectly positioned to benefit from growing domestic demand for golf and international golf tourism, according to new research compiled by KPMG’s Golf Advisory Practice. With the golfing world turning its attention to Italy for the European Tour’s BMW Italian Open, 13-16 September followed by the annual KPMG Golf Business Forum at the Renaissance Tuscany Il Ciocco Resort & Spa, 17-19 September, the report shines a light on a country that could be European golf’s sleeping giant. The second edition of The Rolex World’s Top 1000 Golf Courses contains 107 new entrants. It is the result of a 2-year updating work with the collaboration of 200 panellists worldwide. 2010 saw the first edition of the Rolex World’s Top 1000 Golf Courses. 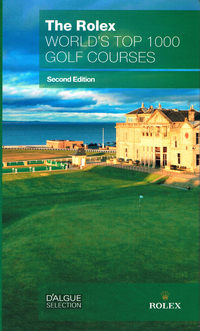 Building on the success and appreciation of that publication, the team at D’Algue Selection, under the leadership of its founder Gaëtan Mourgue d’Algue, has collaborated to produce this second edition, which once again reviews the golf courses of the world and establishes the very best 1000. 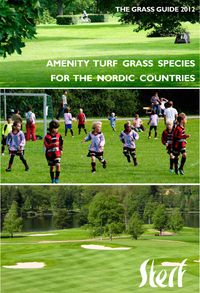 The "Grass Guide 2012" presents research experiences of amenity turf for the Nordic countries made over the past 30 years. It focuses on recommended species for grass-covered slopes, lawns, football pitches and golf courses. An updated "Variety Lists" complements the "Grass Guide", concentrating on varieties, published as an excel-sheet on the Sterf websitesite for easy use. We have received a Special Report on Legal Decisions with regard to tree failure from Landscape Planning. The report was produced following a spate of legal decisions and news stories associated with tree failure, tree works and landowner duties. Drought and economic issues coupled with the price of water have course owners and superintendents making difficult decisions about shrinking resources. 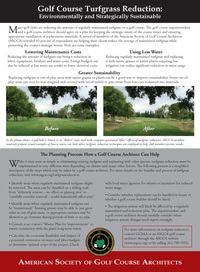 One strategy is to take the same amount of resources and apply them to a reduced amount of turf acreage. The question becomes: what to cut and what to keep? A round up of recently published articles from a range of magazines and online newsletters. 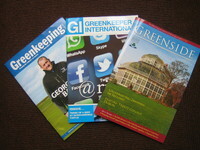 All the usual titles have been covered, including the latest issues of Golf Range News, Greenside and Greenkeeping.